With newer and newer smartphones rolling out, the cameras that they boast are gradually getting better. Thanks to these cameras, Mobile Photography has boomed like never before. And when it comes to Mobile Photography, Huawei has to be the brand that offers great smartphone cameras with great optics and full-fledged manual control over the camera, regardless of which budget segment of Huawei smartphone you actually buy. Are you into smartphone photography? For most of us, the answer is yes. 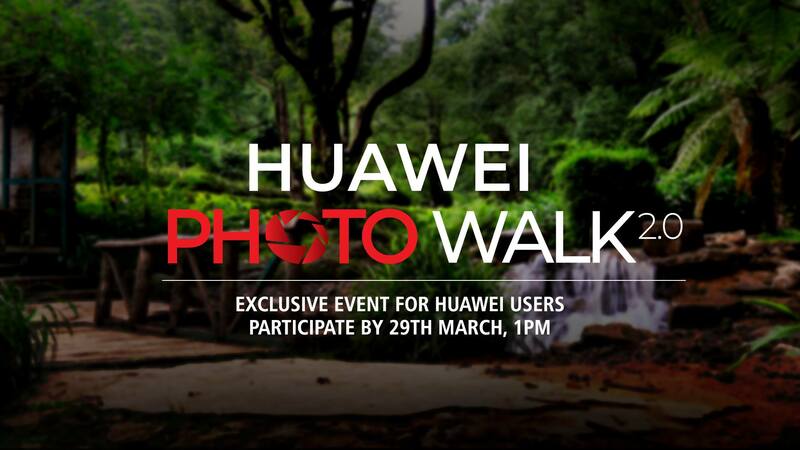 And with smartphone photography being the buzz, Huawei has organized Huawei Photo Walk in order to familiarize Huawei smartphone users with various shooting modes and how they can capture the best looking photo possible. This concept worked out and it was a big hit. Huawei is now back with Huawei Photo Walk 2.0 where you can showcase your photos clicked on any of your Huawei smartphones, and if your photos get selected, you can win a fully sponsored event to Godavari and guidance on smartphone photography by Mr Samir Yogol Shrestha. It’s a win-win, isn’t it? Wait, it’s not over yet, by participating you also stand a chance to win a Huawei Y9 2019 and some exciting gifts as well. How to participate in Huawei Photo Walk 2.0? So, have you participated? If not, what are you waiting for now is the time as the participation deadline ends tomorrow (28th of March). Go ahead, brush up your smartphone photography with Huawei Photo Walk 2.0 and get one more reason to love your smartphone. For more updates, stay tuned to E-Nepsters. Ravi is a writer at E-Nepsters and contributes by writing about the thing he likes the most - Technology.